1. Machine with auto feeding table. 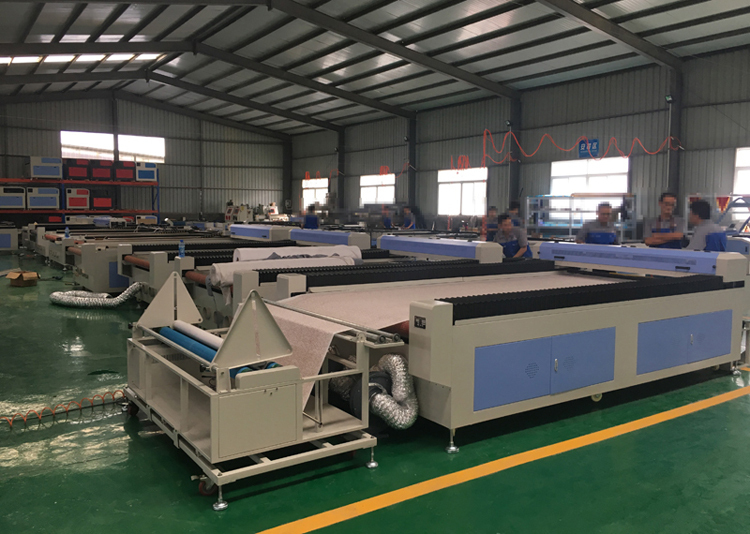 Laser head and auto feeding table mutual move processing system, providing the fast cutting speed to improve work efficiency. And continuous cutting for high utilization rate of material. 2. Multi-layer feeding device is ready for users to process multi-layer cloth at the same time. 3. 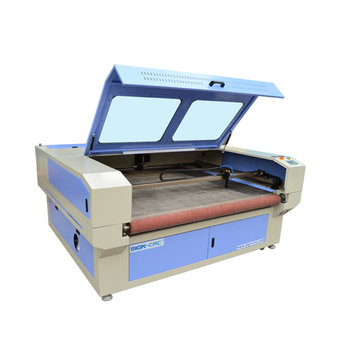 Machine with roller holding device to meet the demand of cutting in large width and rolls textile, the laser cutting machine adopts the machine tool-level chassis to ensure the stability and accuracy in high speed working. 4. Taiwan Hiwin linear guide rails, high precision and long lifetime. 5. Collecting device is very convenient for users to collect cloth. 6. 3-phase Stepper motor to ensure the working accuracy. 7. Transparent fireproof glass watching door, easy checking work process and fireproof glass more safe when working. 8. USB offline panel control with USB inter surface. Textile, wood, paper, leather, cloth, resin, acrylic, wool, plastic, rubber, ceramic tile, crystal, bamboo, organic glass and other non-metal material. 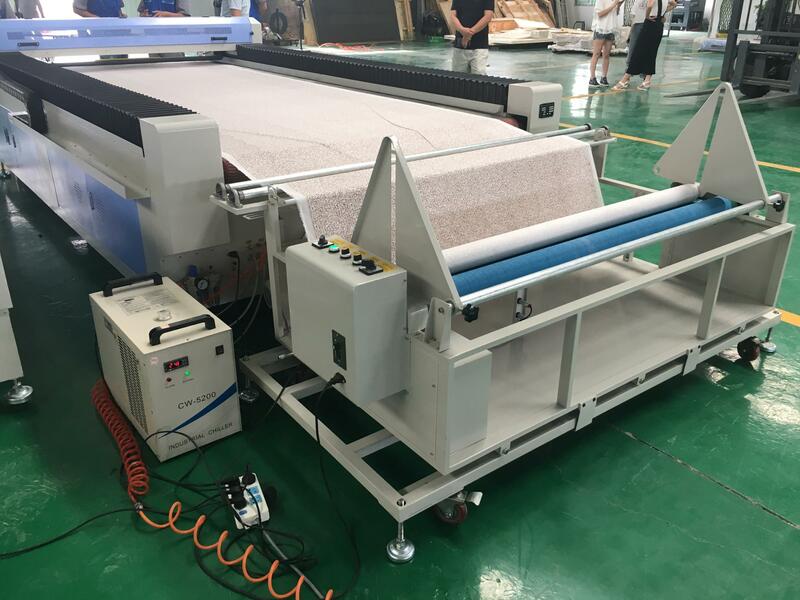 The machine is suitable to professional user who is concerning about processing result and comprehensive performance in garment, leather, cloth, fabric toy, cutting of template, art gift, advertisement decoration, building upholster, package, printing, paper product and other industries. CCD can get every edge of the objection and extend (entad or forth) expected distance, and then cut them. 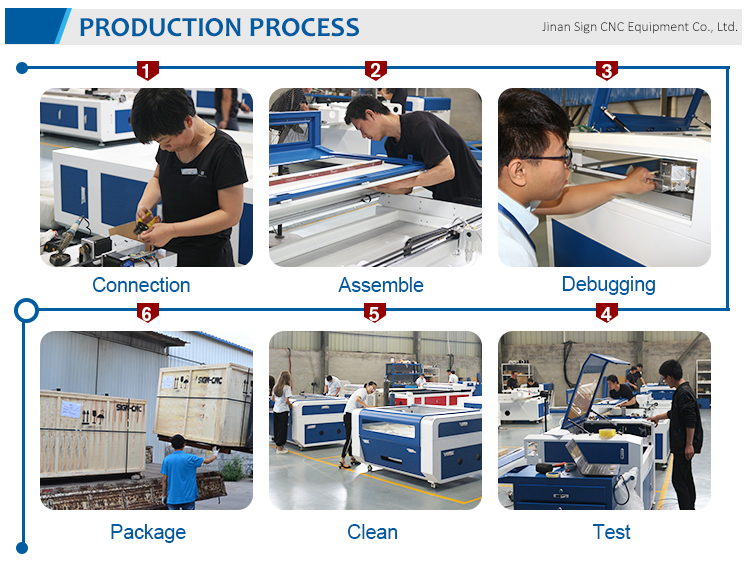 According to common knowledge, the fabric labels may a little different from each other, and adoption of this technology can solve this problem. Install 5 million pixel colorful of camera. Can do accurately locating cutting for those edge-immovable objections. For example, it can accurately cut those distorted-not-much fabric labels. 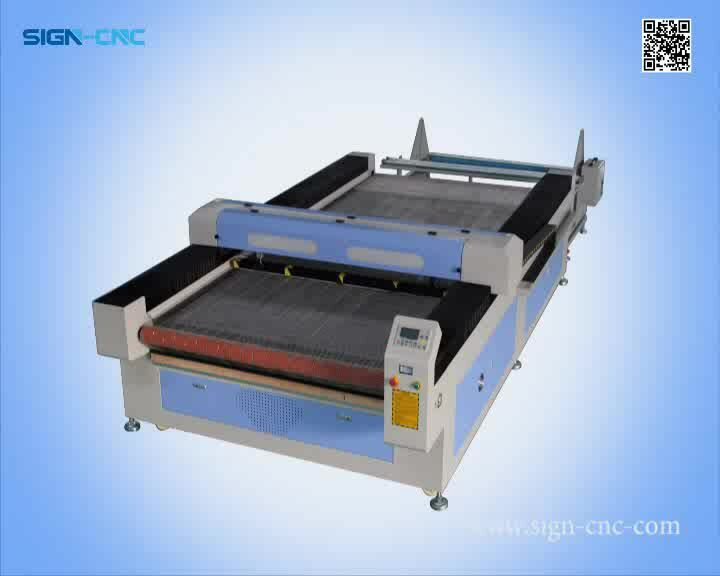 It is for exact picture cutting, like fabric label, embroidery cutting and so on. 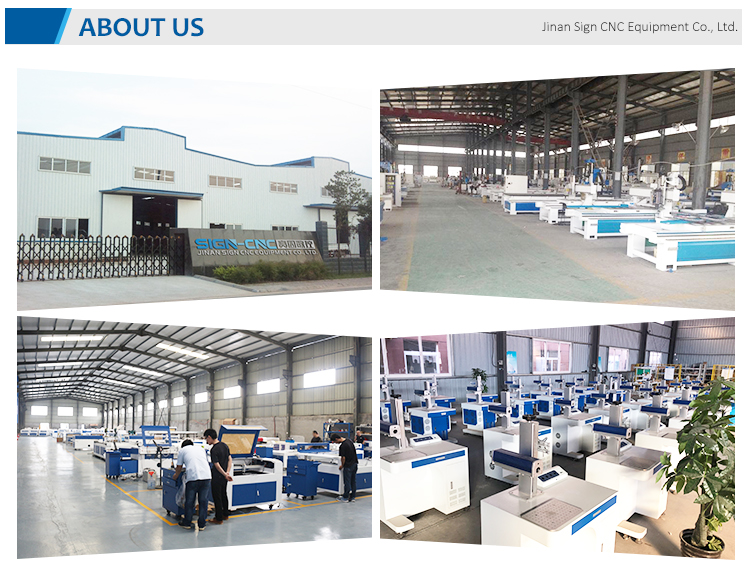 Adopt high quality CO2 laser tube, longer service life, the output is more stable. The laser is invisible. Red dot shows the position of the laser on the material, quickly find the position. 5. 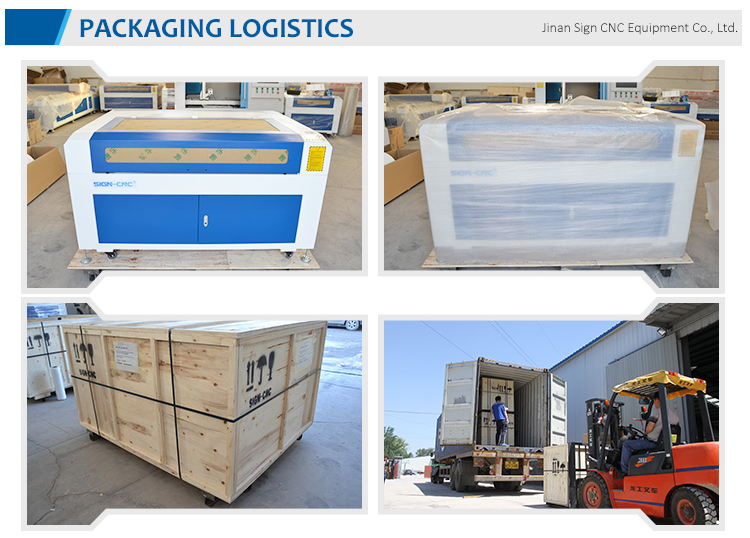 Machine will be adjusted before it is delivered , operation disk/CD was included. 1. 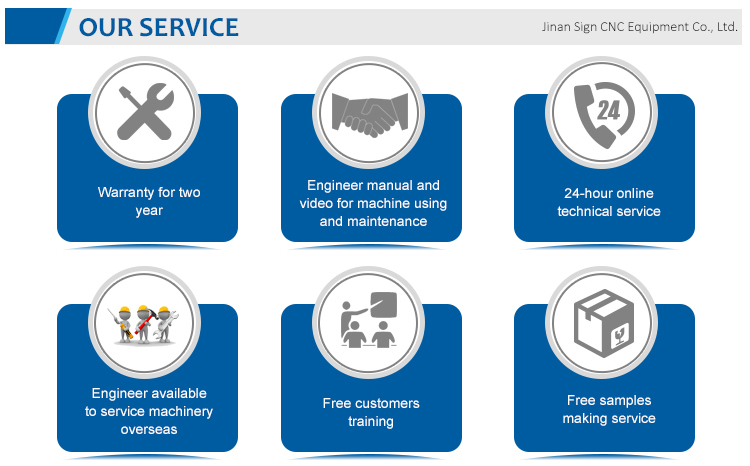 Two year warranty for machine, and if machine parts not work because of quality, we can repair and replace parts for free in one year. 2. Technical support in 24 hours online, WhatsApp, TM, Skype, E-mail, solving the relative questions in time. 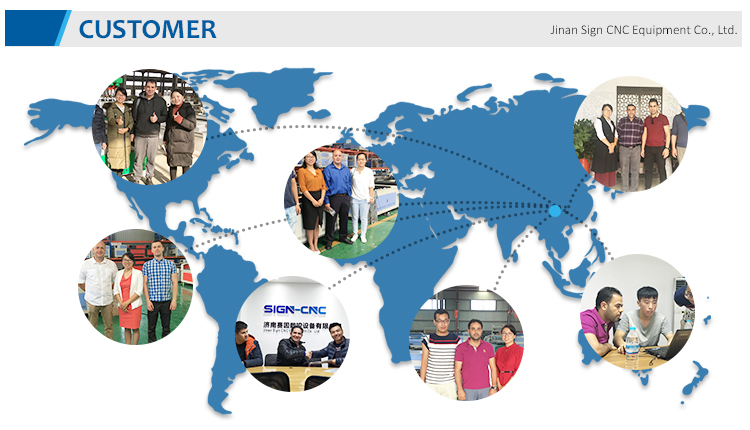 Please Send your Inquiry Details by Clicking the "Contact Supplier" Button.